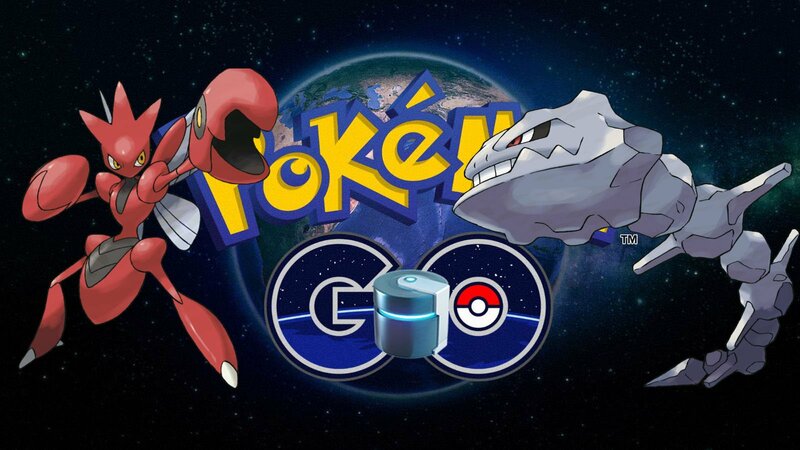 The second generation of pokemon have covered the world in Pokemon Go, which means that a lot of the awesome new creatures from Pokemon Gold and Silver can finally be obtained in the mobile game. While Gen 2 introduced a lot of brand new pokemon, it also provided more than a couple of new evolutionary stages for classic pokedex entries. Some of the pokemon who helped define the first generation got a whole new look, or, in today's case, a shiny new coat of metal. With Pokemon Go finally introducing evolutionary items to the game, you'll need an item known as the Metal Coat to get ahold of two of the new evolutions. Anyone who's played the first generation of Pokemon games will remember Onyx. This rock snake was the headliner at the first gym you ever challenged, and in Gen 2 he was finally given an evolution. With a good Metal Coat you can transform Onyx from slithering stones to the metal monstrosity known as Steelix. One of the more badass entries in the first generation was the bug type Scyther. With the introduction of Gen 2 and the Metal Coat, it can now transform into the shiny red Scizor. I mean, it's not quite as cool as having scythes for arms, but it's a pokedex entry. If you've already got your Onyx and Scyther in hand, then you're probably wondering just how to get ahold of that elusive Metal Coat. I'm afraid I can't point to any specific place that you'll find it laying on the ground, as evolutionary items are all rewarded at PokeStops. On the plus side, keeping your daily bonus PokeStop streak going for a week will guarantee you some type of evolutionary item on the seventh day. Need a new Android game to play while you wait for that Metal Coat to roll in? Check out our Best Android Games list.